Out in the west, where the mountains reach towards the wide open sky, is a lake. This lake lies in a valley surrounded by trees and mountains that challenge each other to reach towards the sky. Most lakes are clear near the shore, but this lake is so clear that one can see the bottom nearly twenty feet from the docks. It’s a lake appropriately named Clear Lake. This lake is fed by and feeds many small mountain streams. Just around the bend, you will find a beautiful water fall that feeds into the lake. If you sit quietly you can see all forms of wildlife. The deer, moose and other wild creatures great and small live by what this lake offers. If you are lucky you just may pull one of the large fish that reside in the waters in this majestic valley. If you happen upon Clear Lake, no worries, there is a man named S. McGuire and his wife Ellie who will welcome you. They have made a living bedding down strangers, who are just passing through. It’s best if you come during a full moon, because you do not want to miss it rising over the lake. It’s a sight that will certainly inspire you and take your breath away. Plus, many people from the neighboring town, Prairietown, get together to play their instruments and dance nearly ‘till dawn on a full moon’s night. This place I have described is called "McGuire’s Landing." It’s a place where one can find peace and forget about all of the troubles in their daily lives. Although it sounds so real, it only exists in the creative genius mind of internationally known musician Pete Huttlinger. "That’s exactly what I was shooting for." laughs Pete. "Just let people forget about their troubles; go some where else for a moment; it’s just so great!" Pete is no stranger to the music industry. As an instrumentalist, he has performed with John Denver, LeAnn Rimes, John Oates and many more. He is a veteran performer of Carnegie Hall and has participated in Eric Clapton’s Crossroads Festivals. Huttlinger has recorded several solo projects for various record labels including his own Instar label. In 2000, he won the respected title of National Fingerstyle Guitar Champion. After nearly seven years in the making, Pete releases his latest project called McGuire’s Landing. 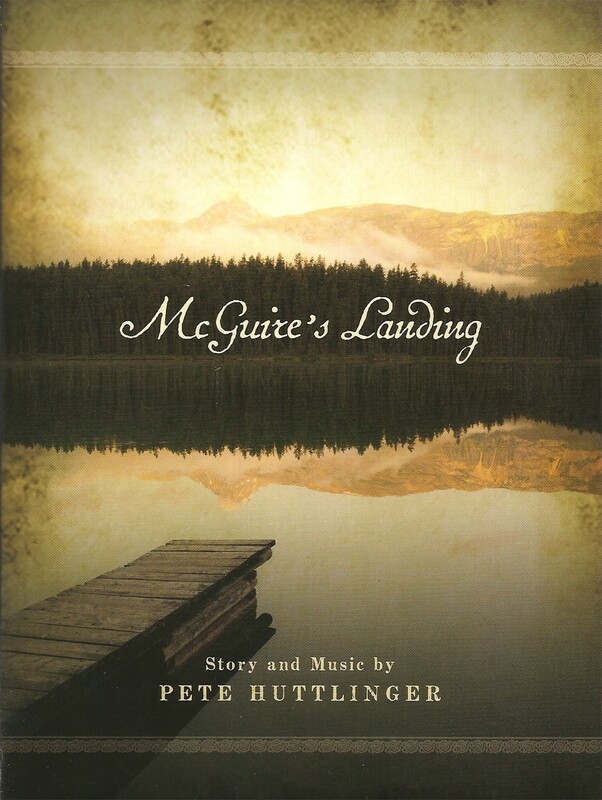 The fifteen cut album follows the short story, included, that tells the tales of McGuire’s Landing. "It came from John Denver." tells Pete when asked where the idea for this project came from. "I used to play guitar for him and I had written this piece, McGuire’s Landing, back when I was working for John. Some body had played it for him one day, unbeknownst to me. He grabbed me after a show one night and said ‘what’s this tune about?’ I said ‘It’s not about anything. It’s just a tune.’ He said ‘No. I know you had some pictures in your mind. What were they?’ So I told him and he said ‘I like that. I want to write the lyrics to this song.’ I said ‘Great!’ Unfortunately, he never got the chance to do that before he passed away. So I took it and ran with it and decided not to write lyrics for the tune ‘McGuire’s Landing.’ But just to let that lie as it was and then write a story to go kind of along the lines of what I was telling John but obviously expand on it quite a bit. It kind of grew over the years into this wonderful project that is now called McGuire’s Landing." Set in 1865, Pete tells the story of a young Irishman who came to America with a dream. The story follows the trials and tribulation of the young Irishman, McGuire, as he makes his way from Boston out west. McGuire shares his journey with another young man, Artemus, who tags along to help fulfil the Irishman’s dream. All is not lost when they finally reach their destination and the dream becomes a reality. "He’s (McGuire) not based off of anything except my imagination." shares Pete. "I don’t even know anyone who’s like McGuire. But I admire McGuire. I admire his tenacity and his ability to set his goal and go achieve it! It’s a hard thing to do." It has taken Pete Huttlinger nearly seven years to complete this project. Majority of the time was spent earning a living as a solo artist as well as a musician, touring with other entertainers. However, on November 3, 2010, Pete nearly loss his life as he suffered a stroke. The stroke stole his speech while paralyzing his right side. Pete fought the debilitating ailment and had to relearn to play his beloved guitar. As he was nearing his recovery, Pete suffered a devastating end-stage heart failure. He was flown to Texas Heart Institute in Houston. There he was fitted with a heart pump called a Ventricular Assist Device. He spent the next five months recovering in the hospital. Again, he had to relearn to play his guitar. "It was after I had a stroke and learned to play the guitar again. Then had major heart failure. Then got out of the hospital after five months with that; and learned to play the guitar again." tells Pete. "My wife says ‘You know it’s time to think about this project if you’re ever going to get this done.’ It served as a springboard in a lot of ways because it encouraged me to learn to play again. I had some tunes that I had to finish recording and writing for this project. So that was a great healing process for me." Pete created all fifteen songs through writing the lyrics and composing the music. He gains the help from some of the top musicians and vocalists including Herb Pederson (Desert Rose Band), accordionist Jeff Taylor (The Time Jumpers), violinist Andrea Zonn (James Taylor’s Band), bassist Byron House (who tours with Robert Plant, Emmylou Harris, Sam Bush and Rodney Crowell), vocalist Mollie Weaver and Tom Roady on percussion to name a few. Four of the songs; including "The Ghosts From Below," "The Blessings of Winter," "Here Comes The Cold" and "Falling" are enhanced by lyrics performed with Pete as well as Mollie Weaver. The remaining eleven songs contain a professional arrangement of instrumentals that create some of the most stunning instrumental songs that far out weigh those of classical composers. More so, that four of the songs will hit Strictly Country’s list of Top Songs of 2013, while earning a nomination for the Spirit Award’s Song of The Year Award. Those songs earning this title include the title track "McGuire’s Landing," "The Crossing," "Nickel For Your Thoughts," and "Trouble’s A-Brewin’." The end result of this compilation is a masterpiece of pure artistry. The story is one of hope, love, friendship and dreams come true. Where as the music brings a sense of peace as. Together they create hours of entertaining, noteworthy of being seen on Broadway. 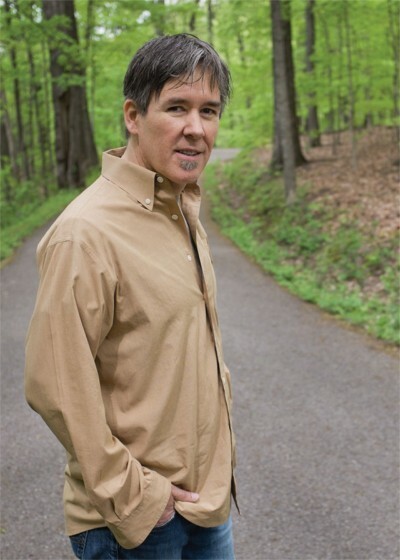 Pete Huttlinger hopes to take the winter off season to revisit his story of McGuire’s Landing in hopes to enhance the prose into a novel. Perhaps he may even create a series about this peaceful destination. Some where deep in each of our souls is a place that we all dream about. It may not be called McGuire’s Landing, but it just may be very similar as Pete Huttlinger’s creation. Each of us hold in our souls a dream just waiting for us to take hold and bring alive.